Ultimate control over your Power Functions creations! 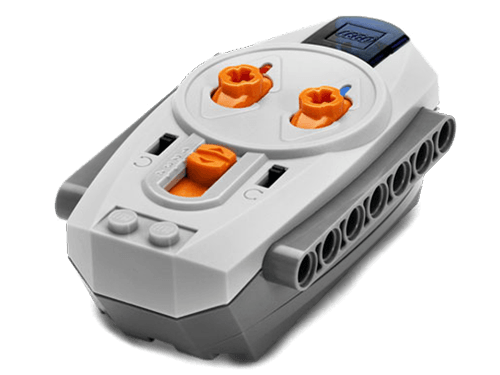 Build a Power Functions IR receiver, battery box and motors into your LEGO creations, then use this handy remote control to start, stop, change direction and more! The Power Functions IR Remote Control system operates on 4 different channels enabling the use of 4 models being controlled at the same time. Control up to 8 different Power Functions with one remote by connecting 2 Power Functions to 4 different receivers each. The reaching distance of the infra-red RC system is at least 30' (10 m).